If the Buyer fails to make a payment or fails to comply with other terms of the Land Contract, the Seller must provide the Buyer with a written Notice of Default. The notice must provide 30 days to cure the default under the Land Contract. This notice should be served upon the Buyer by handing a written copy to the Buyer, by leaving it at the property which is the subject of the Land Contract, or by mailing it to the Buyer by registered or certified mail to the Buyer’s last known address. If before that 30 day period has expired the Buyer has come current on all payment obligations and otherwise comes into compliance with the terms of the Land Contract, and pays any fees and charges which Buyer owes under the Land Contract, then Buyer has cured the default and will not lose the property. 3. A statement that the Buyer has ten days to correct the problem. This notice must be served upon the Buyer by handing a written copy to the Buyer, by leaving it at the property which is the subject of the Land Contract, or by mailing it to the Buyer by registered or certified mail to the Buyer’s last known address. 1. If the contract has been in effect for less than five (5) years, or less than 20% of the principal amount due under the Land Contract has been paid, and Buyer has been in default for over thirty (30) days, the Seller can commence an action of ‘forfeiture’ against the Buyer. This action is similar to a landlord evicting a tenant. The forfeiture will, if successful, cancel the Land Contract and restore possession of the property to the Seller. The Buyer will lose any down payment made under the contract and each monthly payment made will be considered a rental payment. If the Seller elects a forfeiture action and desires to terminate the Land Contract, such election is the exclusive remedy which bars further action on the Land Contract unless the Buyer has paid an amount less than the fair rental value plus deterioration or destruction of the property occasioned by the Buyer’s use. In such case the Seller may recover the difference between the amount paid by the Buyer on the contract and the fair rental value of the property plus an amount for the deterioration or destruction of the property occasioned by the Buyer’s use. 2. If the Buyer has paid on the Land Contract for five (5) years or more from the date of the first payment, or has paid a total sum equal to or more than 20% of the contract price, the Seller may recover possession of the property only by use of a foreclosure action and judicial sale of the property. 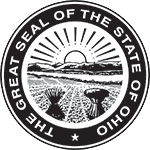 A foreclosure action must be filed in a Common Pleas Court where the property is located; and the requirements for such action are dictated by statute and by court rules. A foreclosure action is a much more complicated and time consuming legal process, often taking months to complete.